Cholesterol is an important fatlike substance (lipid) that is made in the liver and is necessary for the body to function. It also is found in foods made from animal products (meat and dairy products). Cells need cholesterol to function. If you eat too many high-cholesterol foods and/or too much saturated fat or you have an inherited tendency to make too much cholesterol, your cholesterol levels may be too high. However, excess cholesterol in the blood builds up in blood vessels and may lead to hardening of the arteries (atherosclerosis), heart disease, and stroke. People who have diabetes are at higher risk of developing atherosclerosis. Your body gets cholesterol from two sources: from the foods you eat and from your liver. Although many foods contain cholesterol, your liver actually produces up to 80% of what you need.  Low-density lipoprotein (LDL) is called "bad cholesterol." Most efforts to lower cholesterol are aimed at reducing levels of LDL.  High-density lipoprotein (HDL) is called "good cholesterol." It can help remove excess cholesterol from the blood vessels. The cholesterol level can be checked with a blood test. If it is too high, lifestyle changes (such as diet changes and exercise) may help lower it. Some people may need medication to lower their cholesterol levels and reduce their risk of heart disease. Total cholesterol refers to the total amount of cholesterol in a person's blood. 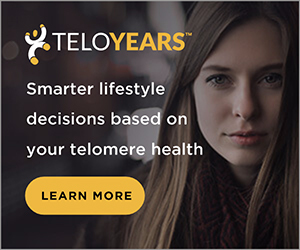 It includes high-density lipoprotein (HDL) cholesterol, which is sometimes called the "good cholesterol," and low-density lipoprotein (LDL) cholesterol, sometimes called the "bad cholesterol." Cholesterol is measured either in milligrams per deciliter of blood (mg/dL) or in millimoles per liter of blood (mmol/L).  A total cholesterol level of less than 200 mg/dL (5.17 mmol/L) is desirable. 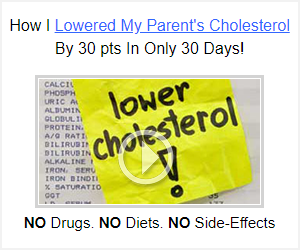  200 to 239 mg/dL (5.17 to 6.18 mmol/L) is considered borderline high cholesterol.  240 mg/dL (6.21 mmol/L) or higher is considered high cholesterol. The ratio of total cholesterol to "good" (HDL) cholesterol is also important, especially if total cholesterol is high. High cholesterol is caused by eating a diet too high in cholesterol and saturated fat or by having an inherited condition that causes elevated cholesterol levels. The best way to lower your cholesterol includes eating a more healthful diet, increasing physical activity, and possibly taking medications and cholesterol-lowering supplements. A blood test can determine whether you have high cholesterol. Cholesterol is measured in milligrams per deciliter (mg/dL) or millimoles per liter (mmol/L).